People assume that since a child is born in the U.S. with a cleft, they are able to have easy access to medical care. Realistically, many families in the U.S. don't have insurance or enough insurance to cover all the costs of medical care. 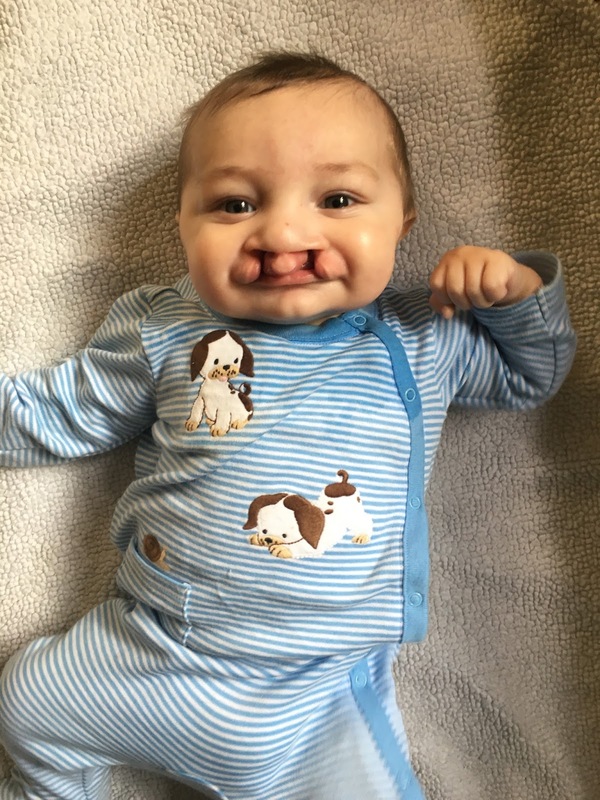 According to Cleft Kids.org, "the reality is that raising a child in the U.S. with a cleft costs approximately $100,000 more than raising a child without a cleft. The cost of a single cleft repair surgery often exceeds $25,000, with most cleft children needing multiple surgeries. " This organization is very near and dear to my heart as I have a baby who was born with a cleft. He is going to have his surgery coming up on May 9th. So I understand the worry and fear that these other families face. Our family is blessed with great insurance and wonderful support from our community. There are some children that don't have either of those options. Here's our little guy, Jon Luke! Here's the cool part! You get to decide how you are able to be apart of this round for the fundraiser. If you can only give $5, then choose the first option. If you can give more, choose the second option and send a care package. I will leave that part up to you to decide. Are you able to pass on that Starbucks coffee today to help bless another family in TREMENDOUS ways? Let's do this, friends! Let's come together as a community and help these families out by bringing an anonymous smile to their faces. You have until May 2, 2016 to sign up for the Exchange. After that date, I will be contacting you with your mail partner's information. 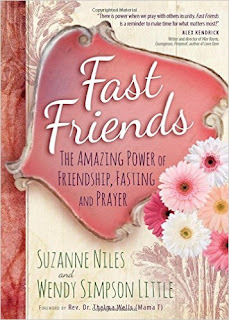 With the information you receive about your sister in Christ, you will send them some fun surprises in the mail based on the info they shared with you that would bless them. This time's challenge is to send your exchange sister: something with their favorite color, something from nature, and the last item of your choice. (Ideas: something with their favorite Bible verse, journal, Starbucks/iTunes gift card, scarf, book, coffee mug, washi tape, picture frame, jewelry, snack, lip gloss, an item that goes with their home décor, you name it!). Perhaps, you are a creative person. Feel free to make them something handmade. The sky's the limit! There are 3 items total you will be mailing to them (or more/less depending on how you'd like to do this- please use this as a guideline to help you or be as creative as you want to be), and they need to go out NLT May 20, 2016. This does not need to be an expensive exchange. The minimum does need to be about $15. Donate to Cleft Kids using one of two options. Remember, you cannot participate in the exchange until you have donated. This is the purpose behind the fun! :) We are helping to bless another family in whatever way we can. Pray for the family you sponsored!!! Or pray for the Cleft Kids organization that they will be able to get the help to someone in need. Get the word out about the exchange through your social media sites. Even if you do not intend to participate, we need to get the word out in order to get enough participants in this exchange. So share away!!! You will receive your exchange sister's name/info NLT May 5, 2016. I am generally quick with getting that info out. But in the event that something happens, you will have that info by that date above. Be sure to check your email for the info. If you do not receive it by that date, please let me know. I may not have received your info for the exchange. After you've received your sister's info, pray for her the next couple of weeks. Feel free to send her an email and introduce yourself. If you have a social media account, find her there. If you have another plan of what to send them, you are welcome to it! If it's only one item or more than three, that is up to you. Mail the package by: May 20, 2016. I am trying something different with this round. I am asking that you send me your tracking number once you've mailed it (unspeakablejoymccoy@gmail.com). I want to insure that everyone receives their package. If I do not receive your tracking number, I will contact you. If you do not receive something from your exchange sister, please let me know. I don't want anyone to walk away from this exchange empty-handed. PLEASE NOTE: Even if you will not be able to donate at this time, please pray for the children listed on that site who are getting ready to have their cleft surgeries. Even more, please share this with others. My prayer is that we can help other families out with donations, prayers, and word of mouth! NOW... If you have donated, submitted the info for the exchange, and shared about this with family/friends through email or social media, you are eligible to enter into a giveaway for a $25 Amazon gift card and a new book called Fast Friends. Wendy Simpson Little was a former teacher of mine and a friend of our family. You will be inspired by her new book. Carrie, once again, thanks for giving us an opportunity to bless others! You are so thoughtful and so good at this. Enjoy your weekend friend!